I roasted a butternut squash in the oven then sauted it in oil in light oil with garlic, onions, a little salt and nutmeg for flavoring. I also sauted cabbage in a pan with oil, garlic, onions, and salt and light pepper for taste. 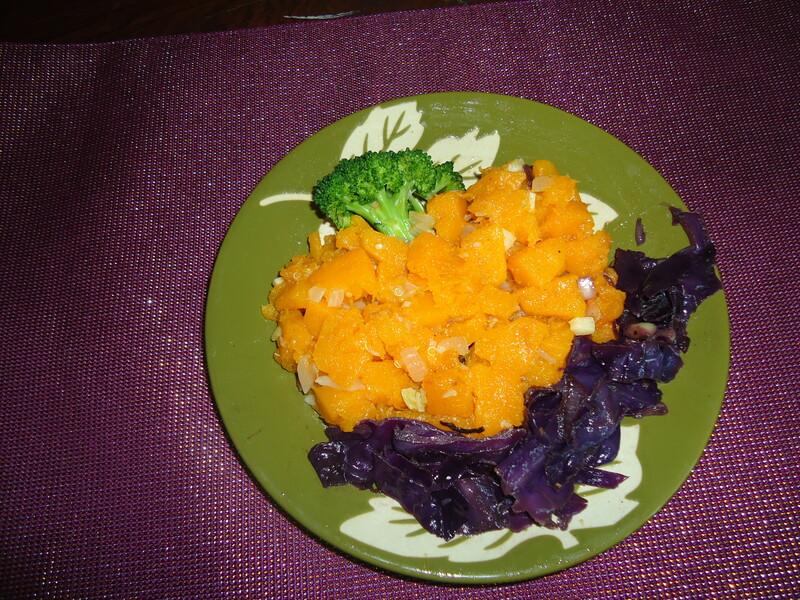 The squash is orange and the cabbage is purple giving it Halloween colors. This is a great vegetarian meal and it is healthy for you as well. 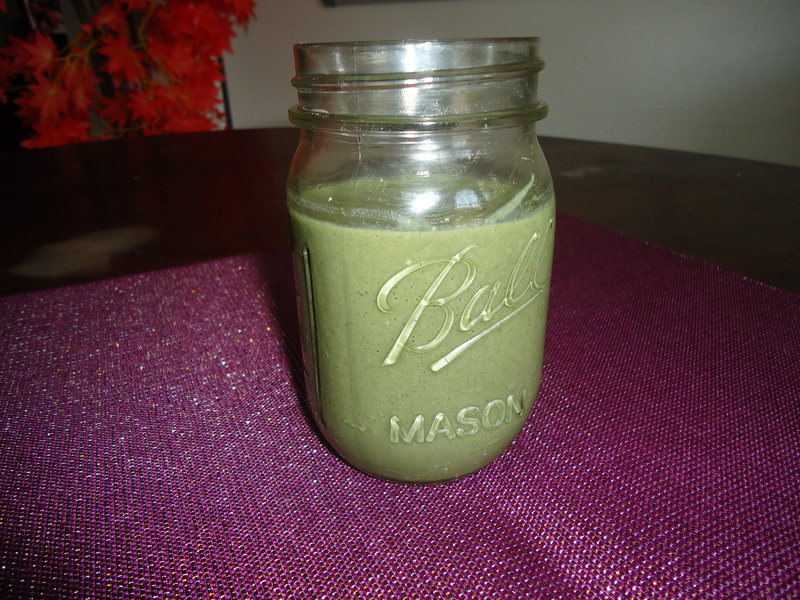 Add wheat grass powder to any smoothie to make it green and look pretty creepy. This is Chocolate Sun Warrior protein powder with some wheat grass powder and a tablespoon of almond butter. This years Halloween costume for Dad & Baby!!! I can’t contain my laughter when I think about how much fun this going to be!!! X and I will be touring the candy covered streets in this baby operated mech warrior – Trick or Treat!!! 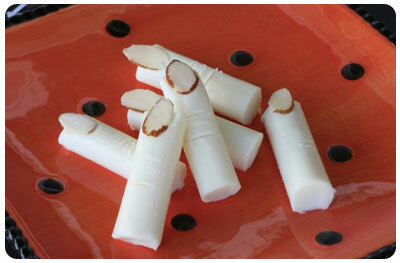 Use mozzarella cheese sticks as the fingers. Cut them in half. Use a knife to cut a small slits in the middle. at the top. Put a dab of cream cheese where the slit is; this will hold the fingernails in place. Place an almond slither on top of the cream cheese or marshmallows if allergic to nuts, as the fingernails. Can use a red sauce on the plate to look like blood to make it more creepy, like a strawberry jam or whatever you prefer. Fold oneo f the black sheets of construction paper in half vertically. Cut slits about an inch apart, leaving a border around the edges. Do not cut through all the way. Use the yellow and black crayons for the eyes. Use the white crayon to draw teeth. Use the red crayon to draw blood coming out the mouth. Tape together in a cylinder. 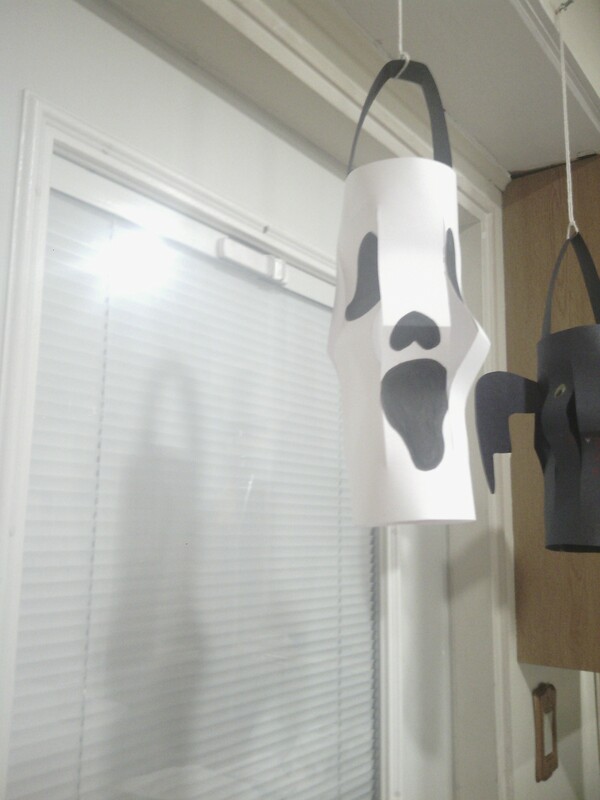 Use the other black sheet of paper to draw 2 bat wings and cut across a piece of paper about an inch apart. This will be the handle. 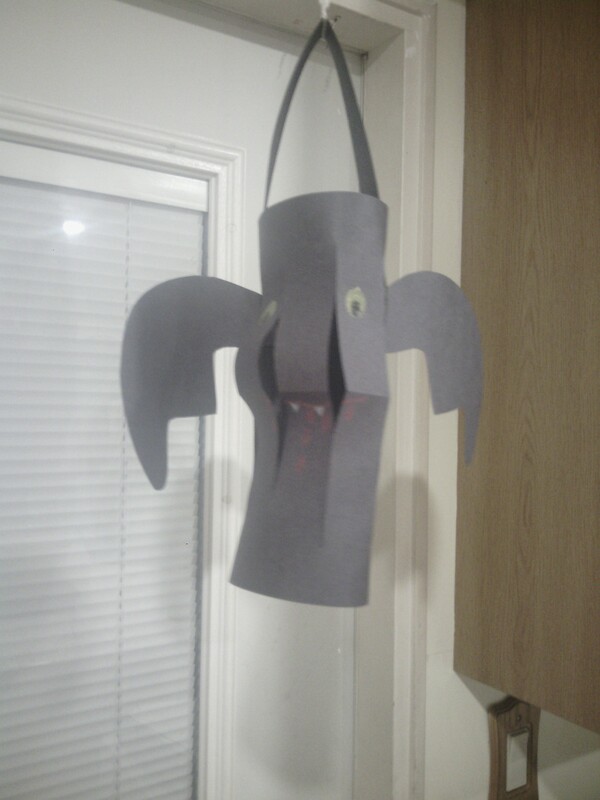 Tape the wings to the side and tape the handle on top on the insides.